Companies across the country have trusted RevitMart for Revit BIM Drafting, CAD Drafting and Management Services for years. RevitMart brings years of construction experience from many different trades and perspectives to our clients and understand the needs of our clients well whether it be Architects, Engineers, Contractors or Manufacturers. Our Prices are very competitive and all work is done here in the United States. From simple Revit families to intelligent Revit BIM systems, from inspiring shell to beautiful interiors, from complex MEP systems to gigantic Structures, High Rise Office Buildings and Condos, Central Plants, Large Footprint Buildings, Existing Buildings, Tenant Fitouts, Latest Laser Scanning Technology, Revit Drafting, you name it and we build it! Our team consisting of experienced Architects and Engineers combined with their specialized Revit® skills have successfully completed many small and large projects in Revit®. Our company is the only dedicated firm in New York and Wasington DC that provides specialized Revit services! We specialize in award winning customer service and getting companies head started with their Revit BIM services. 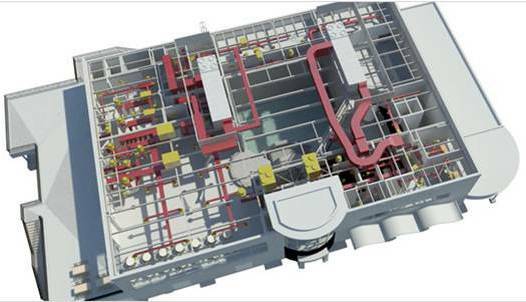 We provide professional MEP CAD and Revit drafting services to Architects, Engineers, Manufacturers and contractors. We take pride in our work and clients feel the pride. Contact us today for more details. We provide professional Architectural CAD and Revit drafting services to Architects, Engineers, Manufacturers and contractors. Check out why Architects trust us with our work. We have 90% repeat clients. We take our work and reputation seriously. Creating as-builts has never been easier. You call us, we scan the building with our hight tech scanners and issue you an accurate Revit Model. RevitMart delivers coordinated as built model, providing enormous time savings.